The distinct profile of the Murphy Chair will appeal to those that seek a high level of style and comfort. The ultra contemporary and stylish accent chair will compliment any seating area. 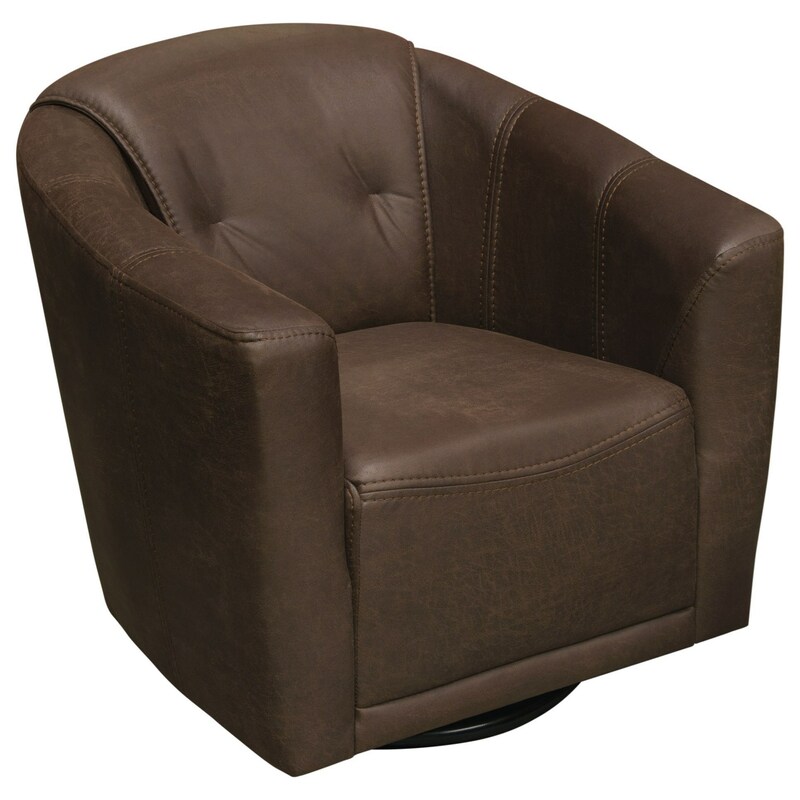 With its 360 degree swivel capability and sumptuous chocolate brown fabric cover, a distinguished conversation piece is the result. Murphy Chair measures 33 inches by 33 inches by 30 inches. The Murphy Swivel Chair by Diamond Sofa at Red Knot in the Oahu, Honolulu, Kapolei, Pearlridge, Salt Lake, Hawaii area. Product availability may vary. Contact us for the most current availability on this product.